ASV Global and TerraSond have announced the successful completion of a hydrographic survey for charting off the coast of Alaska. 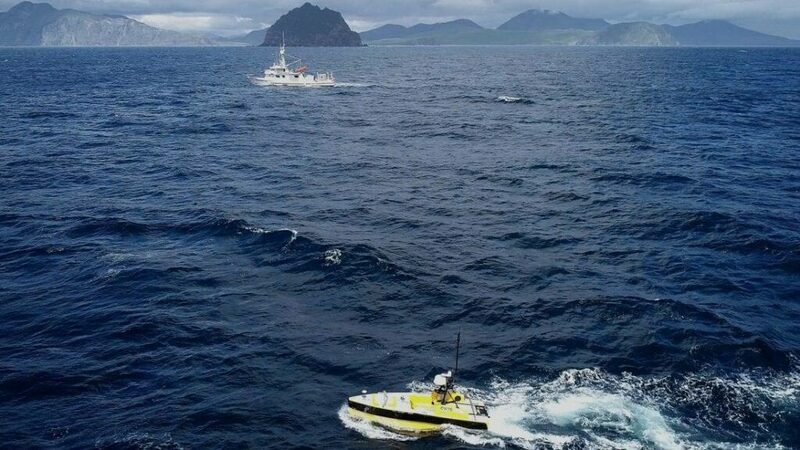 The 10,649km survey was carried out by an ASV Global C-Worker 5 unmanned surface vessel (USV) alongside the Q105 survey ship acting as the mother vessel. Fitted with a multibeam echosounder, the C-Worker 5 carried out 53% of the survey. This operation marks ASV Global and TerraSond’s fourth unmanned charting survey for NOAA in as many years. The total unmanned survey lines completed now stands at almost 15,000km. Throughout the operation the C-Worker 5 was remotely monitored using ASV Global’s ASView control system from a station on TerraSond’s mother ship. ASView used exported .dxf survey lines from the TerraSond survey planning system to autonomously execute an accurate survey with minimal human intervention. “The ASV C-Worker 5 was once again advantageous to our charting work for NOAA along a remote stretch of Aleutian Islands coastline. It was productive in an offshore capacity, but also effective when working close to rugged, rocky shoreline with an abundance of uncharted navigational hazards. It allowed us to reduce risk to our personnel while still obtaining the seafloor data important to our client,” said Andrew Orthmann, Charting Program Manager, TerraSond.